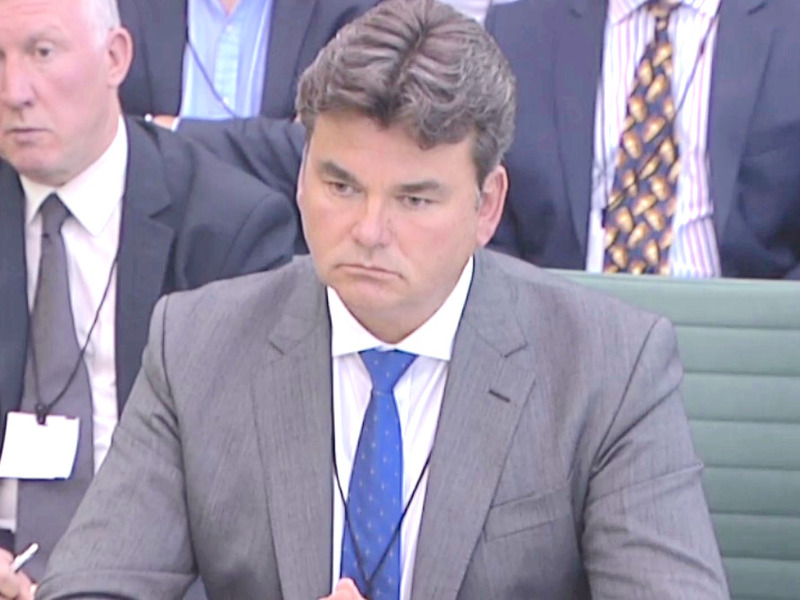 Parliament.tvDominic Chappell giving evidence to the BHS inquiry last week. Chappell, a two-time former bankrupt with no former retail experience, bought BHS for £1 last year from retail billionaire Sir Philip Green. Chappell met with Gutman “two or three times” and his financial advisors Farallon Capital and RiverRock also met with him “two or three times:” Goldman says: “This is not correct.” The bank says Gutman only met Chappell in person once, met with RiverRock once dialed into a meeting with them on another occasion, and only spoke to Farallon on the phone once. Goldman adds that the bank and its staff did not meet with Chappell’s advisors Grant Thornton at all, as he claimed. Farallon told Gutman it was “very committed to doing this deal:” Goldman says that Gutman told Arcadia that Farallon was willing to finance the deal subject to due diligence and documentation, a very different level of enthusiasm. Goldman points out that this evidence is backed up by logs and documents submitted by the bank, as well as the evidence of Farallon Capital in previous sessions. Goldman is the second party involved in the BHS probe to attack the evidence of Chappell. Lady Tina Green, the ultimate owner of Sir Philip’s Arcadia Group, has written to MPs to deny she even loaned Chappell or his company Retail Acquisitions Ltd £3.5 million to invest in BHS, as he claimed. Chappell’s honesty was attacked during last Wednesday’s inquiry hearing too, with BHS’ former interim-CFO Michael Hitchcock accusing him of being a “Premier League liar.” Chappell later defended himself, insisting he acted only in the best interests of the department store. Goldman goes on to say that it does “not believe that Goldman Sachs employees are able to provide the Committees with any new evidence.” MPs summoned Gutman back to the inquiry in the wake of Chappell’s evidence and summoned two other Goldman bankers to give evidence for the first time. 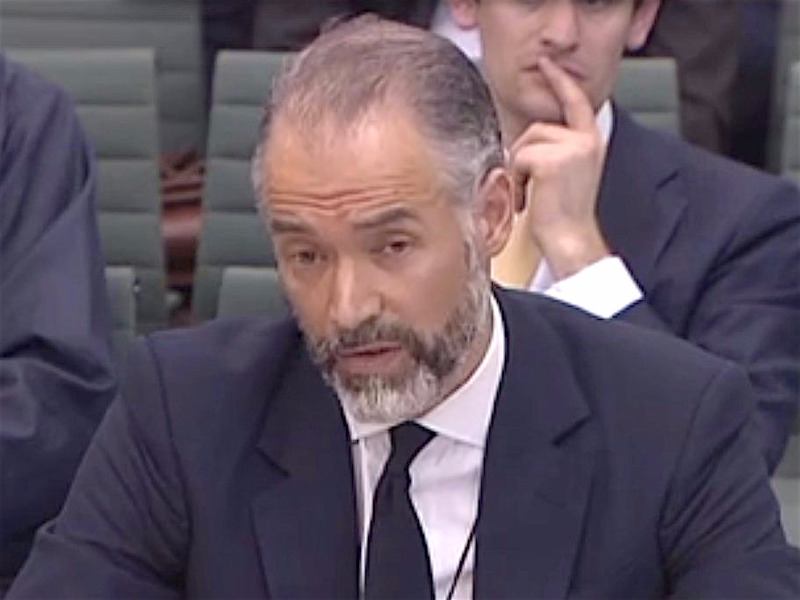 Parliament TVGoldman Sachs’ Anthony Gutman giving evidence last month. They are: Michael Sherwood, vice president of Goldman Sachs and a key ally of Sir Philip Green from the early 2000s onwards; and Michael Casey, whose involvement is not yet clear. Goldman say the pair are happy to answer written questions but don’t want to give in-person evidence to the committee. Despite Goldman’s pleading not to be dragged any further into the BHS fiasco, Frank Field and Iain Wright, the co-chairs of the Parliamentary inquiries, have written to the bank saying they still want all 3 bankers to come in. • Explore the nature and history of the relationship between Sir Philip Green and Goldman Sachs and its executives, including the other services provided by Goldman Sachs to companies within the Taveta group. 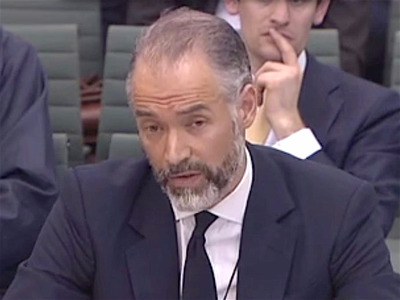 The MPs have also asked for written evidence ahead of the session about a meeting between Goldman Sachs and Eddie Parladorio, a lawyer who sat on the board of Chappell’s company Retail Acquisitions Ltd. MPs also want notes and documents relating to all meetings with representatives of Retail Acquisitions Ltd.